Size: approx. 400mm x 470mm. 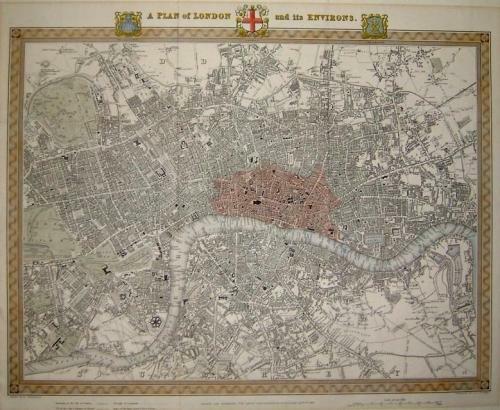 An interesting nineteenth century map of central London from Lewis' Topographical Dictionary. A hand coloured engraved plan by Walker after Creighton with armorials to the upper border. The map has a wealth of detail and street names and is a fascinating reminder of a very different London. The condition is good with a very slight toning.